Allhamdulillah with the Mawlid procession taking place in the UK for over 30 years, it is essential we introduce and implement positive changes to suit and meet its purpose for the new and upcoming generation. The month of Rabi ul Awal is an opportune moment for Muslims to introduce the Messenger of Allah to all of humanity in a positive and effective manner. This initiative involves a key theme for every city: “Rise for the Beloved”. It involves participation with a message for Muslims and non Muslims. 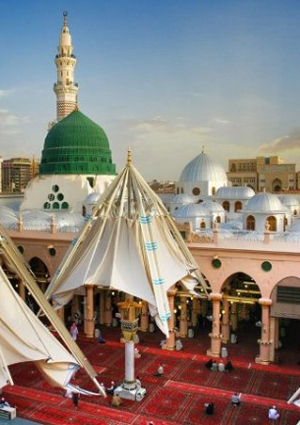 For Muslims, it’s a call to rise to and adapt the ways of the Blessed Prophet. For non Muslims, it shows the importance and role of our Beloved Prophet in every Muslims life. • Guidelines to manage cleanliness throughout the procession. In addition, the tone of the procession requires addressing and the message we would like to resonate to the non Muslim audience requires attention. A collective form of Dawah under one theme would create and attract the much needed media attention. This would give a clear sign of who the Ahlus Sunnah wal Jamah are in the UK and shed a positive light on the Sunnis in the media.